I just got my first DVD in the mail for awards season! Yippie! Because I'm a member of the WGA and get to vote in the Writers Guild Awards, I get screener copies in the mail of films that the studios think are award-worthy. 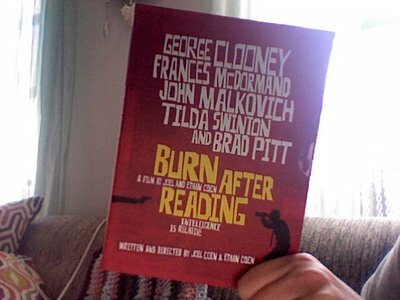 The first movie I received this season: Burn After Reading, written and directed by Joel and Ethan Coen. 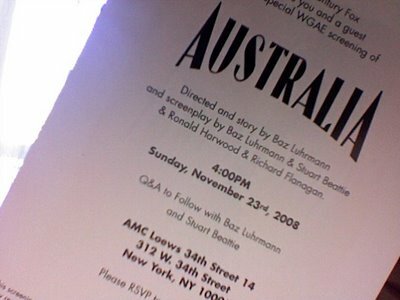 UPDATE: Oh, wow... and an invite to a screening of Australia followed by a Q&A with Baz Luhrmann! I need to go to this one!